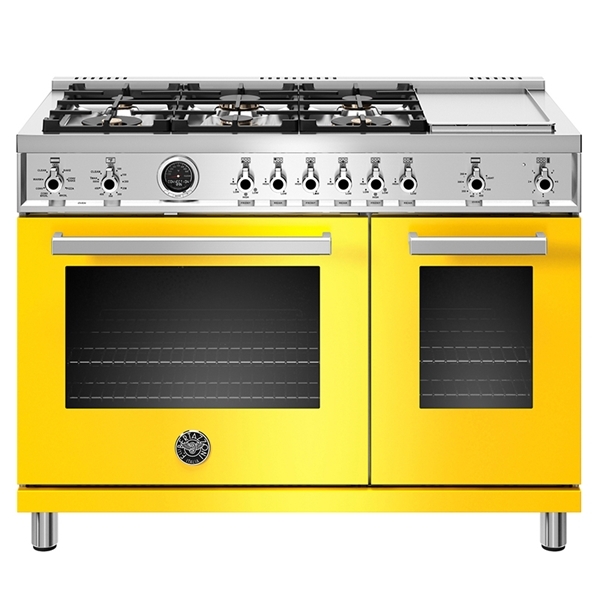 The high-efficiency maintop with 6 brass burners and electric griddle features 2 dual ring 19,000 BTU power-burners that boil water in under 6 minutes (best in class), and 4 additional MonoBloc burners of variable size and power to suit every style of cooking, with delicate simmer at 750 BTUs. 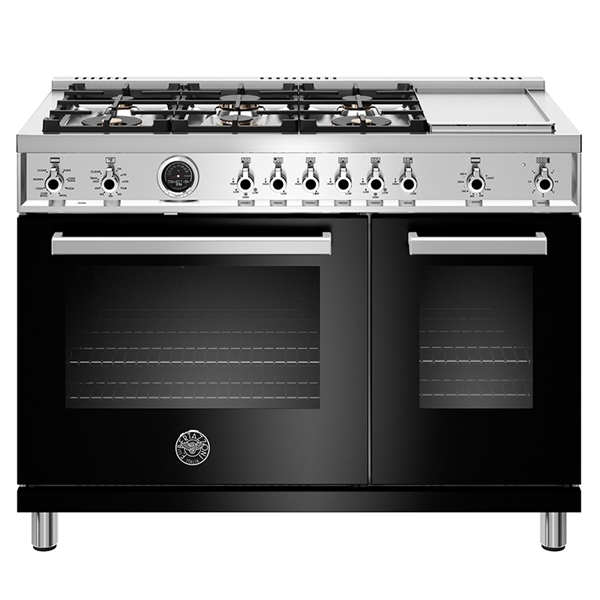 The stainless steel griddle with integrated cover provides additional cooking options. The 4.7 cu. 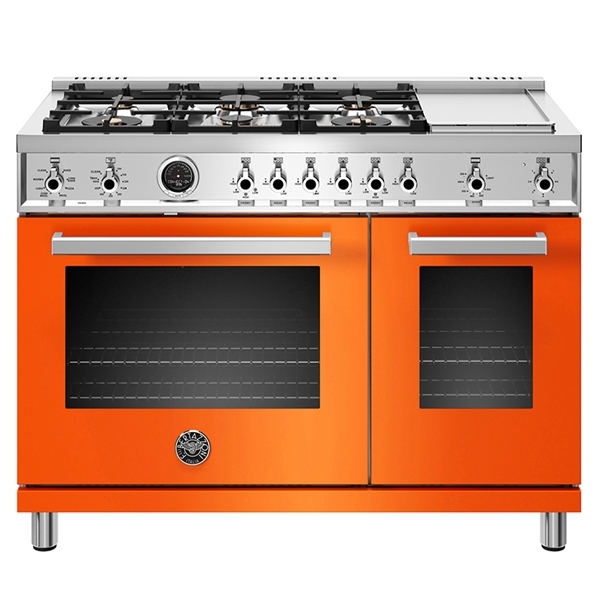 ft. self-cleaning oven is the largest in its class, with dual convection fan for balanced airflow and even temperature baking and roasting on 7 shelf levels. 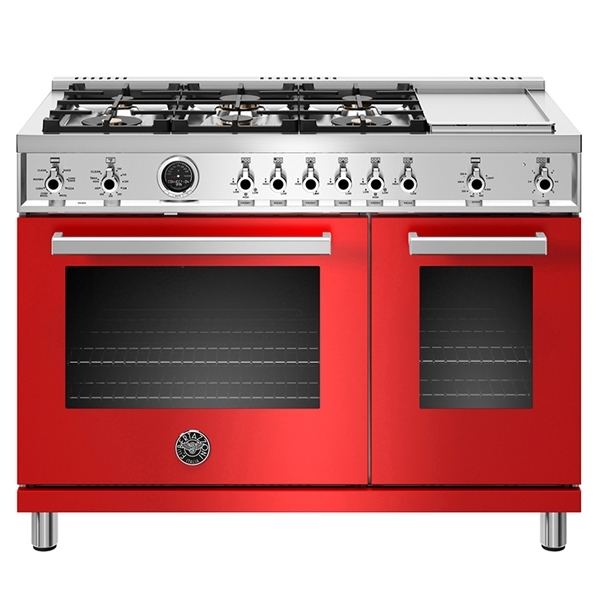 The extra wide electric broiler with optional convection is ideal for grilling and searing at high heat. 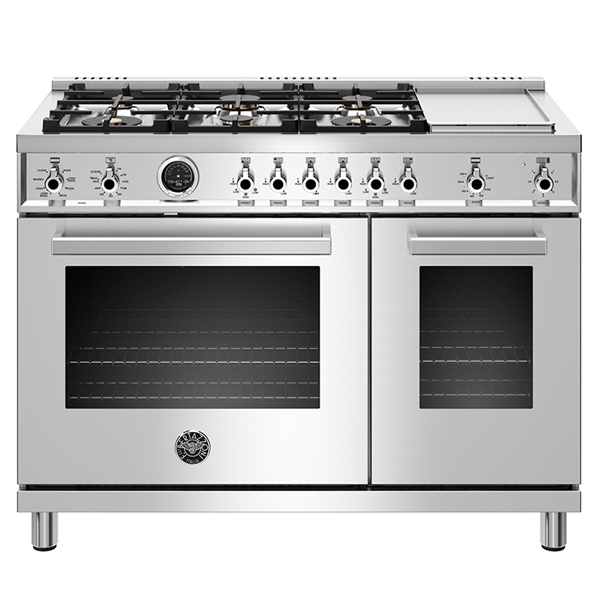 The 2.4 cubic feet auxiliary oven is perfect for smaller dishes and for warming.